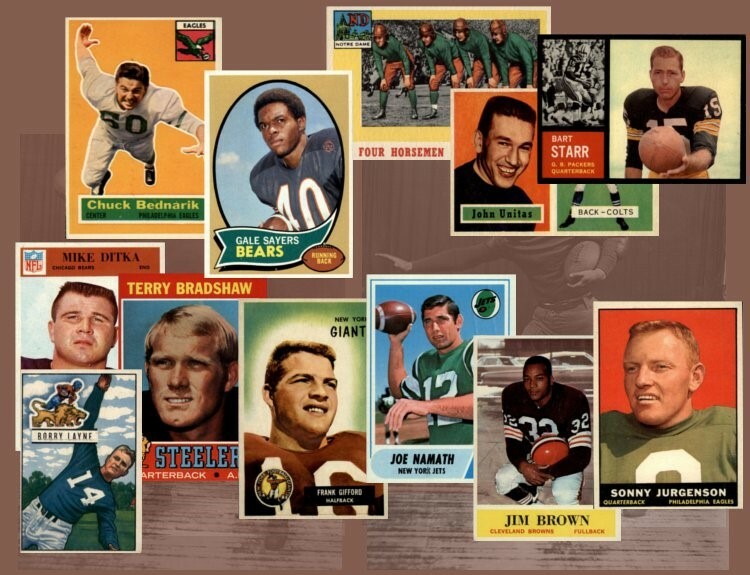 The 1955 Topps All-American Football Card Set is one of the most creative vintage card sets ever produced, showcasing the early heroes of the college game. Topps designed the cards with great care not to violate Bowman's exclusive right to issue cards of the NFL players. This All-American football cards continues to increase in popularity, as the years go by. The 1955 Topps All-American Football Card set consists of in one series of 100 large size cards, measuring 2 5/8" by 3 5/8". As a result, the set is loaded with "short-printed" cards. CLICK HERE if you want to sell your 1955 Topps All-American Football Cards. Showing 1 to 100 of 106 products.